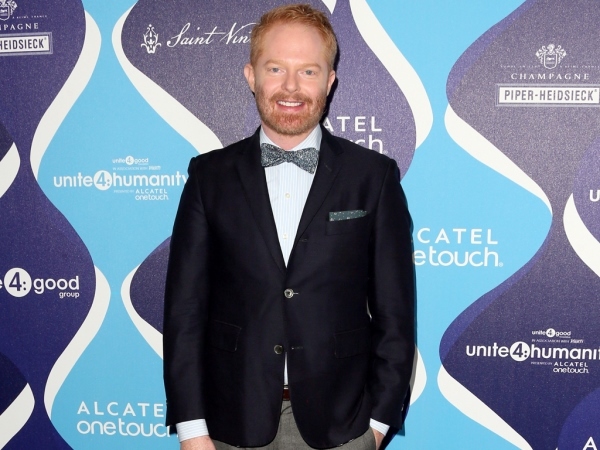 Jesse Tyler Ferguson feels like he works at Banana Republic with all the folding of clothes he does. The 39-year-old actor tied the knot with husband Justin Mikita in July 2013 after almost two years of dating, with screenwriter Tony Kushner officiating at their wedding. In many ways Jesse is like his Modern Family alter ego Mitchell Pritchett, with both men self-proclaimed neat freaks and Jesse always trailing his spouse's moves around the house. "I am always picking up, I'm always straightening things, I'm always cleaning," he laughed to People magazine. "It's a curse and a blessing. I'm always folding Justin's clothes. I told him the other day I feel like I'm working at Banana Republic – all I'm doing is folding clothes all day." He may have to get used to clutter though if he and Justin ever start a family together. Jesse has made no secret of his longing to have kids and puts the baby fever down to his young Modern Family co-stars, who include Sarah Hyland and Aubrey Anderson-Emmons, who plays his onscreen daughter Lily. Outside of work the star volunteers for the organisation Turnaround Acts, which helps bring artistic resources to deprived schools in America. He's "thrilled" to be working with such talented youngsters and enjoys giving them valuable titbits. It's no surprise Jesse was left shocked following the controversial comments about IVF treatment made by designer duo Domenico Dolce and Stefano Gabbana recently, dubbing children born by these means "synthetic". But Jesse does understand that the pair were just sharing their personal thoughts. "I understand everyone has their own opinions but I hope to have a family some day and I am probably going to have to look for, whether it be adoption or IVF, I'll have to look for those alternate means," he explained. "It was disappointing but at the same time understandable. People have their own opinions but you have to expect people are also going to have their own reactions to those opinions."